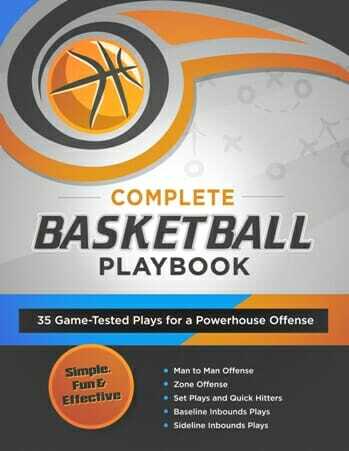 If you’re looking for [tag]fast break basketball[/tag] drills here is one of the [tag]basketball drills[/tag] that I like to use. I simply call it the “Fast Break” drill. It is a timed drill and the “teams” compete against each other for the best time. As soon as I shoot the [tag]basketball[/tag] and it goes through the hoop the time starts. The #4 player takes the ball out of bounds and passes it to the #1 player. The #2 and #3 players are filling the outside lanes going down the court and the #5 player is filling the middle lane and the #4 player is the trail player. The players are running the court five times. After the first inbounds pass to player #1 that player takes a couple dribbles down the court and passes it to either the #2 or #3 player who passes it back to the #1 player and the #1 player completes a lay-up. The #4 player takes the ball out of bounds and quickly passes to the #1 player who starts to bring the ball down the court and passes the ball to the #2 player who shoots an outside shot. If the shot is missed the other players are to rebound and make a basket. The ball is not taken out of bounds until a basket is made so it is important to concentrate on the shot or get a quick rebound and put back. Once the shot is made the #4 player inbounds the ball to the #1 player who proceeds up the court and then passes the ball to the #3 player who completes a lay-up. The #4 player once again inbounds the ball to the #1 player who brings the ball part way up the court and passes either to the #2 or #3 player who then passes the ball to the #4 player for a shot near the free throw line. Once the basket is made the #4 player inbounds the ball to the #1 player who brings the ball up the court once again and passes either to the #2 or #3 player who then passes the ball to the #5 player for the final lay-up and the clock stops. The players enjoy competing for the best time. 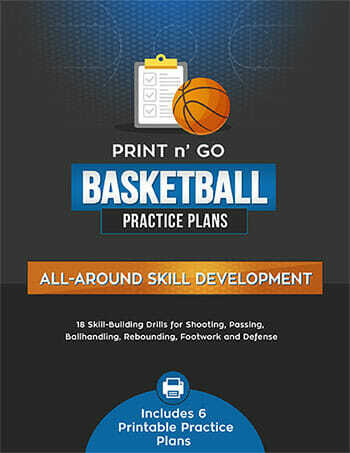 It’s a good [tag]basketball drill[/tag] for running the court and filling the lanes as well as working on concentrating on your shots and lay-ups. 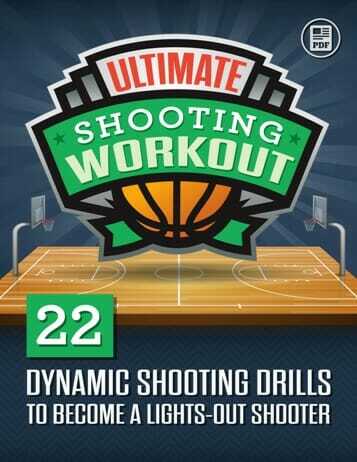 It’s also a good conditioning drill.